It's easy to be overwhelmed by literary awards season, with a different shortlist announced every week, so that it's even easier to miss what's so great about these lists: the incredible books they bring attention to. This year in particular, jurors have made such surprising and exciting choices. We've highlighted many of these books and authors on 49th Shelf, and we're pleased to share these highlights below: links that will take you deeper into the big books that Canadian readers have been celebrating in 2015. Trevor Corkum recently interviewed Alexis as part of his new 49th Shelf series, "The Chat." Don't miss Archibald's interview on "The Chat." Learn more about Crime Wave in Paul Corupe's Talking History Piece, "The Unkindest Cut." Read "The Concept of a Photon," an excerpt from Boundary Problems. Check out Steve Burrows' terrific guest post, "Birds and Books: The Stuff of Life." Check out Megan Gail Coles partaking in our roundtable, The State of the Short Story in 2015. Sarah Elton's piece on the history of Canadian farmers' markets appeared in our Talking History series last fall, and in 2013, she talked with Julie Wilson about how analysis and storytelling can go hand in hand. Don't miss our amazing interview with Julie Flett on her own work and on the exciting things happening in First Nations literature today. Ariel Gordon shared the story behind the how-to poems in her book in this guest post, which also includes the text of her poem, "How to Write a Poem." Hay's list from 2011, Six Books I'm Rereading, reveals a wealth of literary treasures waiting to be (re?)discovered. We love Jackman's humdinger of a historical fiction list, putting his own book in excellent company. 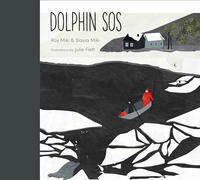 In 2013, we had Marthe Jocelyn and her picture book collaborator (and daughter!) Nell Jocelyn interview each other about their creative process. We love this post by Kuitenbrouwer that asks, "Does the mythic proceed from the lived experience or does lived experience drive myth?" 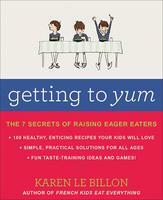 Julie Wilson talked to Karen Le Billon in 2012 about turning picky eaters into healthy eaters. In a guest post, Massie explains how her book reconsiders our sense of Saskatchewan as a geographical location. McGimpsey's work was included on the League of Canadian Poets' Food and Poetry list, which we published earlier this year: "McGimpsey definitely has cornered the poetic supermarket in terms of poems about food and pop culture." Read his guest post for us on New York City nightlife in the 1920s and '30s—and automats! Check out Mierau's piece for us on Family, Adoption and Memoir. We really love Pamela Mordecai's recommended reading list, Novels of the Caribbean. Read an excerpt from Sanaaq on our blog. Shortlisted for the Scotiabank Giller Prize, a finalist for the Quebec Writers Federation Award, nominated for the Frank O'Connor Short Story Award. In his new series, Trevor Corkum asks O'Neill some excellent questions about her latest book. Now is the perfect time of year to check out Paul's recommended reading list on autumns and falls. Pick's list of recommended memoirs offers rich and compelling reading suggestions. Late last year, Sean Cranbury spoke to Rader about his collection. In June 2014, Renzetti told us about an idyllic "Red Letter Day." Rooney's list of books on sexuality and gender offers great reading suggestions, and is an excellent read in itself. 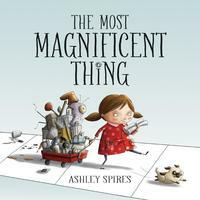 Check out her guest post on writing YA and making the possible...possible! In 2012, we interviewed Sainte-Marie's official biographer, Blair Stonechild, about his book and its fascinating subject. Schofield spoke with Trevor Corkum for "The Chat," and we also have a real affinity for her 2012 list of "Books that Made Me Turn Off the Vacuum." 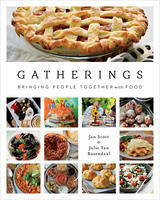 Last year we featured an excerpt from Gatherings, "Hosting a Successful Open House." 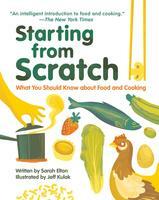 We were pleased to feature a recipe from Family Meals on our blog, "Sweet Potato Chickpea Stew." In 2012, Julie Wilson interviewed Spires about what was next as she concluded her Binky the Space Cat series. Nice to know it's all turned out so well! We loved Steeves' Giving Up and/or Coming Of Age reading list from earlier this year.